Please join us this Friday, April 21st from 6 – 9pm for the opening of sculpture by Richard Johnston and paintings by Joe Ostraff. 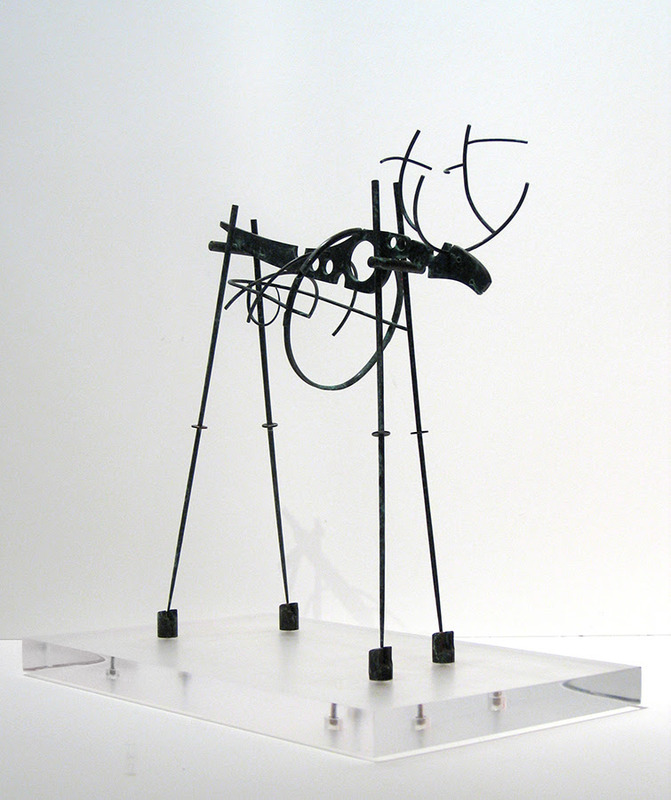 Richard Johnston received a Bachelor of Fine Arts degree from California State University, Long Beach, in 1966, and Masters of Fine Arts degree from Cranbrook Academy of Art in 1968. He taught art at the University of Utah from 1968 to 1990, and was director of the Salt Lake Art Center (now UMOCA) from 1983 to 1986. In 1990, he became chair of the art department and director of the art gallery at California State University, San Bernardino. He also served as director of the Robert B. Fullerton Art Museum from 1990 1996. With an illustrious thirty six solo shows under his belt the now retired, Johnston has had quite a career. Growing up in Southern California, mixed media painter Joe Ostraff was influenced by the local artists and surrounding arts culture. He participated in the Laguna Beach Pageant of the Masters and, as Ostraff says, “painted everything from beachscapes to surfers in a glassy tube ride with offshore winds.” He came to Utah to earn a BFA from BYU and later went on to receive an MFA from the University of Washington. Of his new work Ostraff says: These paintings reflect a longing to locate myself within the human and physical geography and to generate some form of conversation. There is a measure of anxiety associated with this longing and that uneasiness has morphed into an introvert pretending to be an extravert. It is an uncomfortable compulsion that effects everything I do as I go about the business of unpacking myself. Sources of inspiration include shapes located within urban and natural landscape and things people give me, all flattened and compressed into paint. While ideas and questions inform my initial process, any clear interpretation of these connections as found in a completed work remains elusive to me and I find myself becoming accustom to that feeling. Ostraff is a professor at BYU where he will soon complete his 24th year teaching. The exquisite surface quality of his paintings reveal well worked yet polished archeological layers of allure. Please join us. Admission, as always, is free.